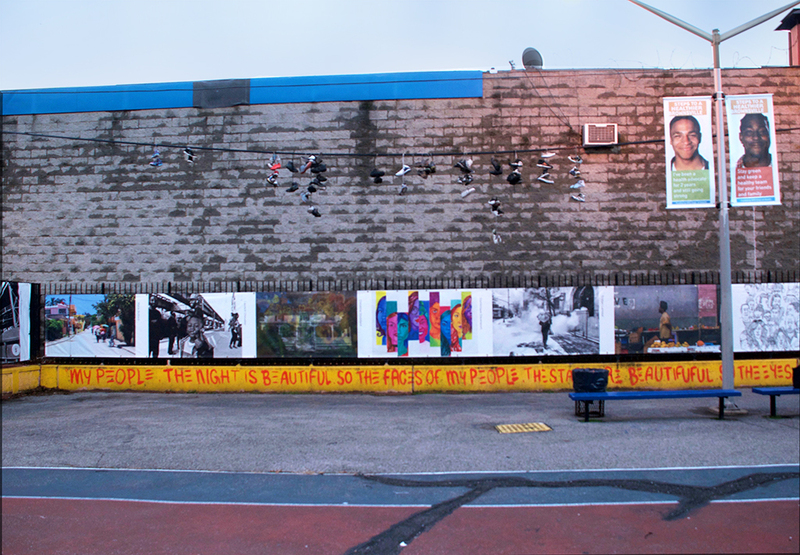 We are thrilled to present Brownsville Matters, an exhibition featuring eleven emerging Brooklyn artists’ interpretations of East Brooklyn’s cultural identity. All works were selected via an open call for art, which garnered over 100 submissions. 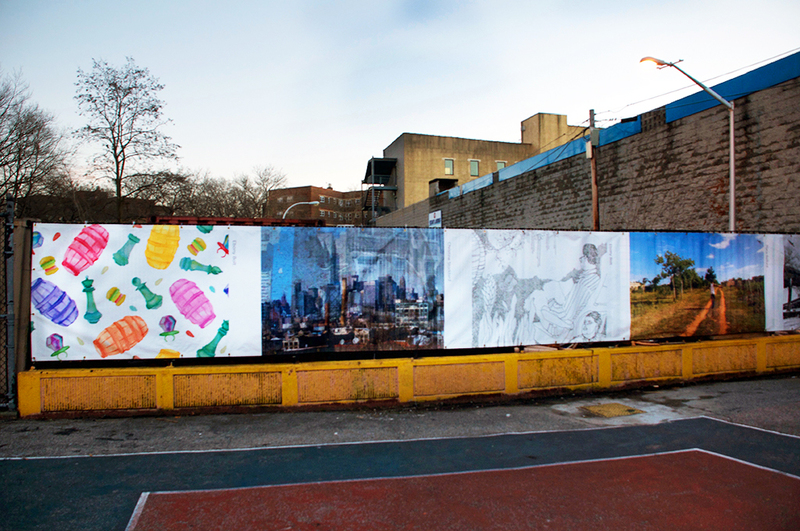 Curators Rujeko Hockley (Brooklyn Museum) and Farrah Lafontant (Brooklyn Arts Council) narrowed submissions down to 43 works of art, that were then voted on by Brownsville residents. The exhibit features artwork by Cheryl Bowers, Christine Stoddard, Dominique Davenport, Ebony Bolt, Jazmine Hayes, Kisha Johnson, Laurent Chevalier, Malcolm Williams, Maria Belford, Sophia Dawson, and Tristan Lamour. 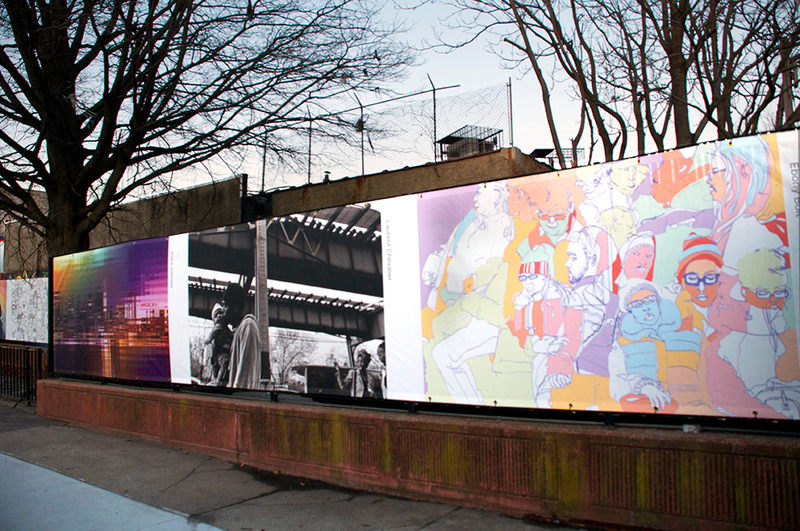 These artists present eleven different stories of cultural and neighborhood identity. Ebony Bolt’s work is a visual diary of her everyday life; her piece Bodega Summers highlights her love for East New York, and the lessons it has taught her. Sophia Dawson’s powerful portrait (from her series All Power to the People) shines a bright spotlight on the faces of East Brooklyn’s unknown activists. Laurent Chevalier’s photographs capture the story of his Brooklyn; however, by keeping his images devoid of markers, he forces the viewer to lean on their own histories and form their own conclusions. Click on works to view bios and images. Rujeko Hockley joined the Brooklyn Museum in 2012 as Assistant Curator of Contemporary Art. Her interests include modern and contemporary art, with a particular focus on conceptual and other avant-garde practices, social movements, and the African diaspora. She comes to the Brooklyn Museum from San Diego, where she is a Ph.D. candidate in the Visual Arts department at the University of California, San Diego. Prior to her candidacy, Hockley worked as Curatorial Assistant at The Studio Museum in Harlem (2005–2007). She has also organized exhibitions and programs at various independent spaces in San Diego and New York, and has written broadly on contemporary art. She received her B.A. in Art History from Columbia University. Farrah Lafontant joined Brooklyn Arts Council in April 2015 as the Community Initiative Associate. As an art enthusiast and Brooklyn native who is actively involved in her community of East New York, the joining of the Creative Coalitions team couldn’t be more ideal. Her work as an a Creative Coalitions Associate working predominately in East New York and Brownsville, draws on her extensive career in those communities as well as her experience in community engagement, non-profits and finance.